Activity by East Staffordshire’s Fairtrade Steering Group is gathering pace as it looks to promote the local businesses who sell and use Fairtrade products, ensuring a fairer deal for farmers and producers. The group had a successful AGM after welcoming new volunteers to its ranks. Alongside the official business of the evening, they also enjoyed a tasting of Fairtrade wines bought with vouchers donated by the Central England Co-operative Society. Lawrence Oates was elected as chair of the group with Lewis Anderson as vice-chair and Shelagh McKiernan as secretary. 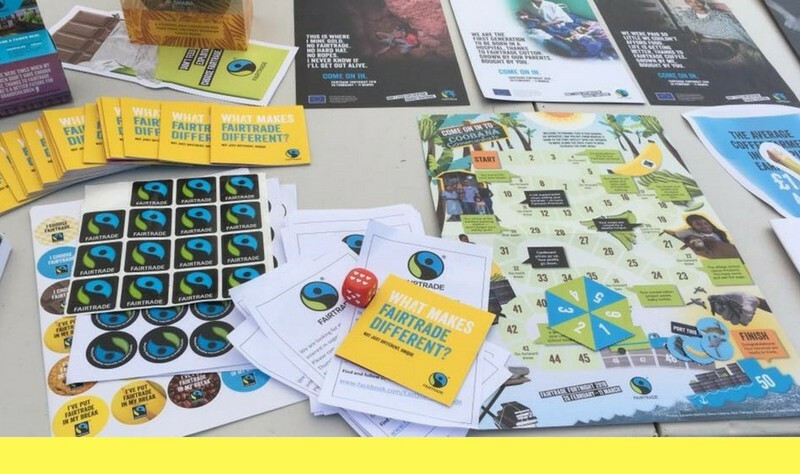 Its aim is to renew ‘Fairtrade borough status’ for East Staffordshire, an official reflection of the number of local businesses and organisations that support Fairtrade products. 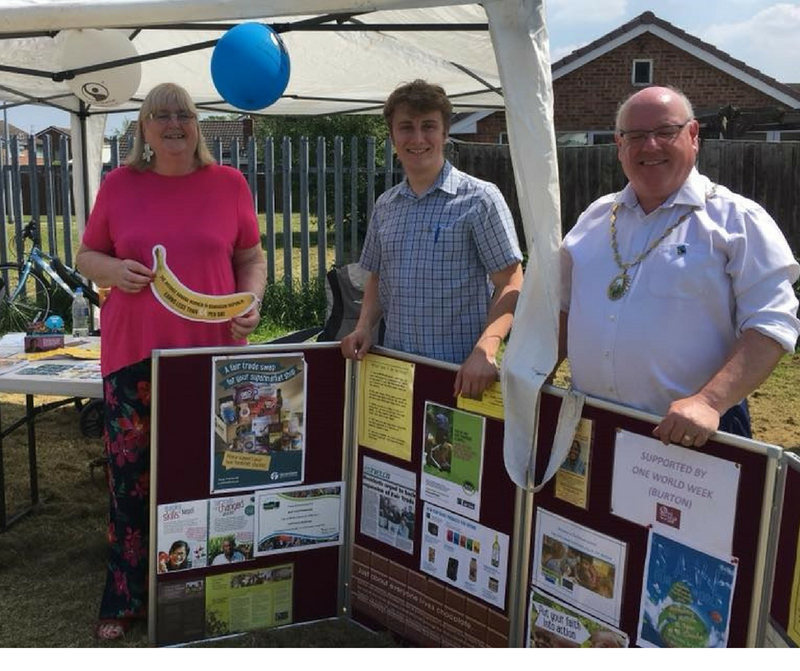 Lawrence and steering group member Elaine Pritchard will have a Fairtrade stand at the Burton Caribbean Association’s free family day starting at 1pm on August 4. Looking further ahead, the group plans to have a stall at the Small Business Saturday Winter Festival on December 1. The group has also affirmed its support for local farmers and producers in the UK. If you would like to find out more about Fairtrade and perhaps volunteer to help with administrative tasks and event planning, you are welcome to attend the next meeting, which will be held on Thursday September 13, at 7.30pm in the first floor meeting room at the Trent Campus of de Ferrers Academy on St Mary’s Drive. Pictured below: Steering group volunteers on a stand at Stretton Gala in June. Left to right: Shelagh McKiernan, Lewis Anderson and John McKiernan.